NIGHTCRAWLER. (Blu-ray / DVD Cover art). ©Universal Pictures. HOLLYWOOD—Inspired by the classic occult board game, “Ouija” tells the story of a group of teens accidentally unleash a dark power from the other side. The supernatural thriller is available Tuesday, Feb. 3 in a Blu-ray combo pack including Blu-ray, DVD and Digital HD with UltraViolet, from Universal Pictures Home Entertainment. “Ouija,” released in theaters last fall, delivers extra chills in its home entertainment format, with exclusive bonus content including a deeper look inside the mystery of the Ouija board, film commentary and much more. The film already is available on Digital HD. After Debbie (Shelley Hennig, “Teen Wolf”) suddenly dies, her best friend Laine (Cooke) attempts to contact her using an antique Ouija board she finds in Debbie’s room. When the curious teen begins asking the board questions and stumbles upon the mystery of her friend’s death, Laine discovers a resident spirit calling itself DZ, and eerie, inexplicable events begin to follow her. The group of friends digs deeper into the history of Debbie’s house and are shocked to find that Debbie wasn’t the first victim—and won’t be the last if they don’t figure out how to close the portal to the spirit world they’ve opened. The otherworldly thriller also stars Douglas Smith (“Percy Jackson: Sea of Monsters”), Bianca A. Santos (“The Fosters”), Ana Coto (“DISconnected”) and Daren Kagasoff (“The Secret Life of the American Teenager”). Bonus features exclusive to Blu-ray include “The Spirit Board: An Evolution” featurette, which takes viewers on a journey back in time, tracing the history of “automatic writing” and “talking boards” as it goes from ritual to novelty act to board game and now movie. Another featurette, “Icon of the Unknown,” takes a look at the mystical and scientific explanations for how the Ouija board works. A bonus on both the Blu-ray and DVD formats is the featurette, “Adapting the Fear,” in which the cast and crew on set learn how they adapted this portal to the spirit world into a feature film. 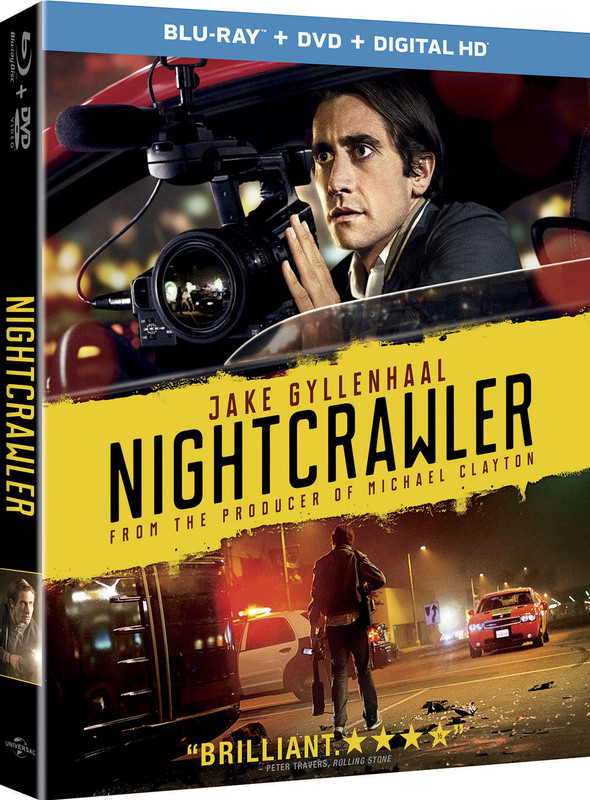 Oscar-nominated thriller “Nightcrawler” is available on Digital HD and will be available in a Blu-ray combo pack, on Tuesday, Feb. 10. Bonus Features on Blu-ray and DVD include a featurette called, “If It Bleeds, It Leads: A behind-the-scenes “Making of” of “Nightcrawler,” feature commentary with writer/director Gilroy, producer Tony Gilroy, and editor John Gilroy. 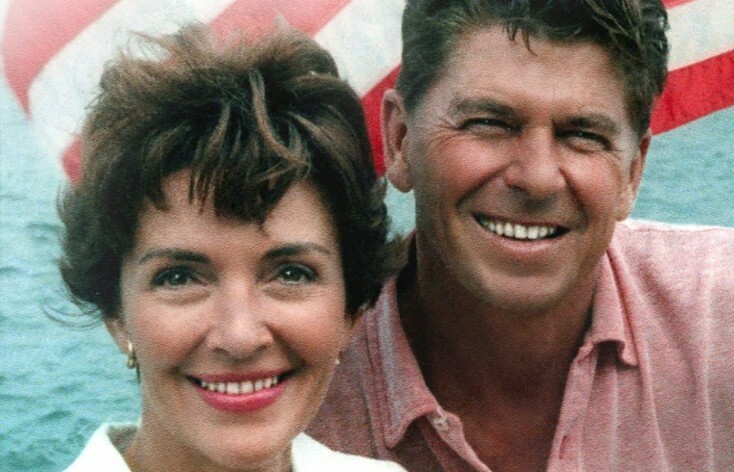 “The Reagans: The Legacy Endures,” a documentary about 40th U.S. President Ronald Reagan and his wife Nancy is available on DVD Tuesday, Feb. 3. Written and Directed by Robert Kline, “The Reagans” tells the story of a small town boy from Illinois with big dreams. Ronald Wilson Reagan began his rise to public life in sports broadcasting and then as a star of film and television. But it was during his years in Hollywood as president of the Screen Actor’s Guild that he discovered the two great passions of his life: politics and his soul mate, Nancy Davis. Together, Reagan and his wife, the former Nancy Davis, forged a legacy as the first couple of California and then the United States of America as they led the charge for the rebirth of conservative values. This candid and intimate portrait captures the Reagans’ journey, historic partnership and love story. Assist Doc McStuffins and the whole gang to help Lambie get over her broken heart in “Doc McStuffins: Cuddle Me Lambie,” arriving on Disney DVD Tuesday, Feb. 3. This DVD is packed with five song-filled episodes and includes exclusive Lambie hair clips. Celebrate the power of true friendship as Doc McStuffins and her friends help Lambie realize that there is enough love to go around to everyone. “Steven Universe,” a Cartoon Network original animated series, follows the misadventures of a boy name Steven, the ultimate “little brother” to a team of magical guardians of humanity—the Crystal Gems. Available for the first time on DVD, “Steven Universe: Gem Glow” features 12 episodes from the series first season. It also includes the bonus pilot episode. “Steven Universe” is created by Emmy and Annie Award-nominated writer and storyboard artist Rebecca Sugar (“Adventure Time”) with Ian Jones-Quartey, serving as supervising director. All-new episodes of “Steven Universe” can be seen Thursdays at 6:30 p.m. ET/PT on Cartoon Network. ‘Fate of the Furious,’ ‘Smurfs, ‘Rake,’ More on Home Entertainment … plus a giveaway!! !